Blessed indeed!! This is yesterday, Easter. While the girls were hunting eggs I was photographing the progress of the garden in just one week. Today is Monday and it's raining and even some hail came down. and the sun is shining on the pansies reflecting a beautiful light shade of violet. Oh my gosh I have bugs eating my artichokes before I get a chance to have a bite. 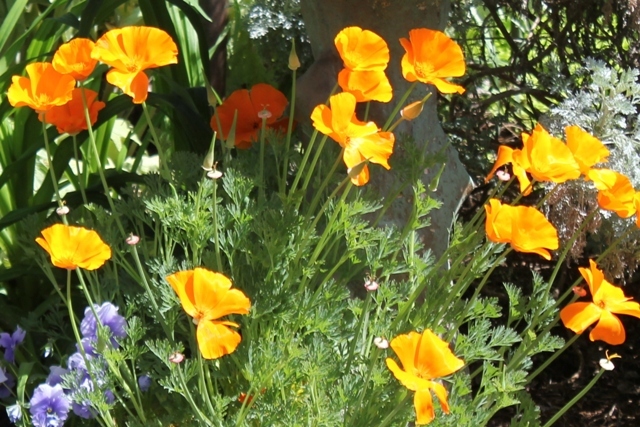 I love the 'California Poppy' our state flower. Nothing beautiful lasts long enough. I love the outdoors and enjoy sharing my garden with you all! Love the photos of your garden. Beautiful. Gorgeous poppies. Love all of the blooms. Beautiful gardens. 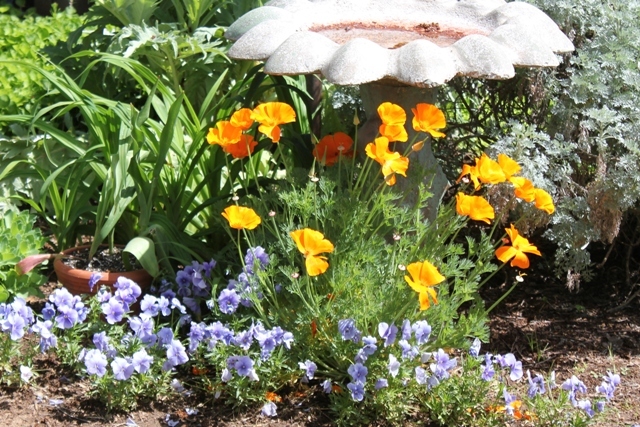 Thanks for sharing your beautiful iris and poppies. I can't wait until I mine bloom! 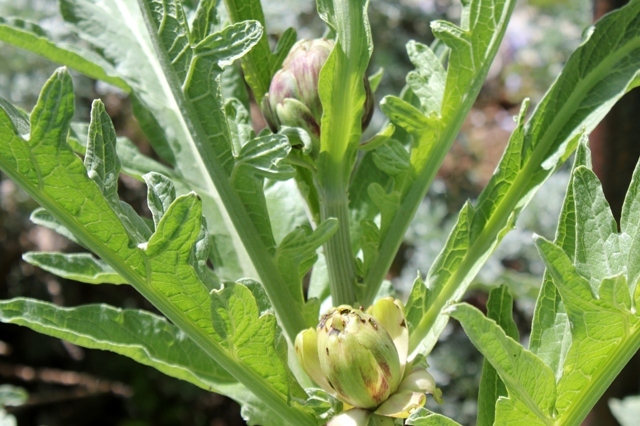 You have artichokes growing.. whow! Such beautiful photos of your garden.. The iris are my favorite bulb. Yours are lovely. Beautiful blooms! Thank you kindly for sharing! Lovely garden to celebrate Spring in. Take care. See you next week. 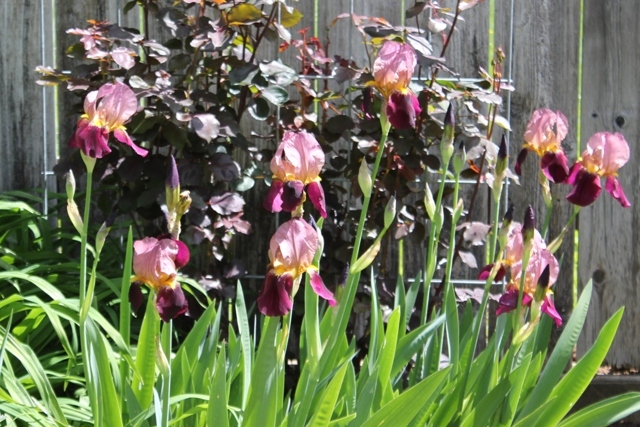 Lovely irises, mine are about 8 inches and all leaves yet. I have not seen a CA poppy in years, thanks for the memory. I love iris but I was struck by the beauty of the poppies. So bright and cheerful. 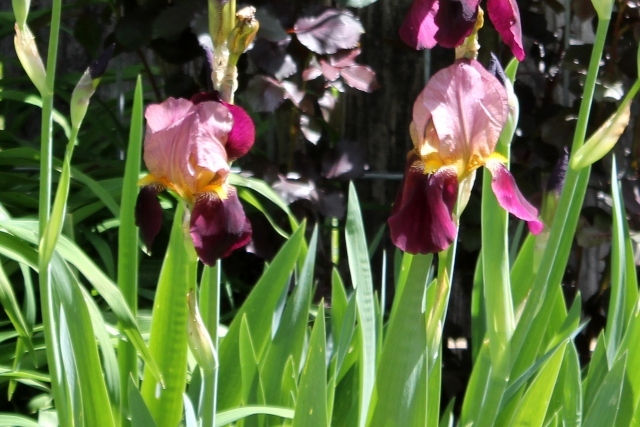 Love the Iris - this is a beautiful color or colors. Poppies are always on my list of flowers to get but somehow I always miss out! Love yours - spectacular photos - and yes, it passes by too fast! Thankful to photographs and to blogging! Great way to journal the garden! Hi Betty! Thanks for sharing the beauty of your flowers in your cozy corner of the world! I got to see your post at "Unskinny Boppy"'s Garden Party.